Bio Resurge is a brand that does skin, hair and healthcare products that are chemical-free and Ayurvedic. All their products are gentle on the skin, and use the most natural ingredients—think flowers, vegetables, herbs and minerals. Another reason to try Bio Resurge's skincare? The prices—they're all very affordable. If you're someone who is done using harmful, chemical-loaded products on your skin, Bio Resurge will be a refreshing change. 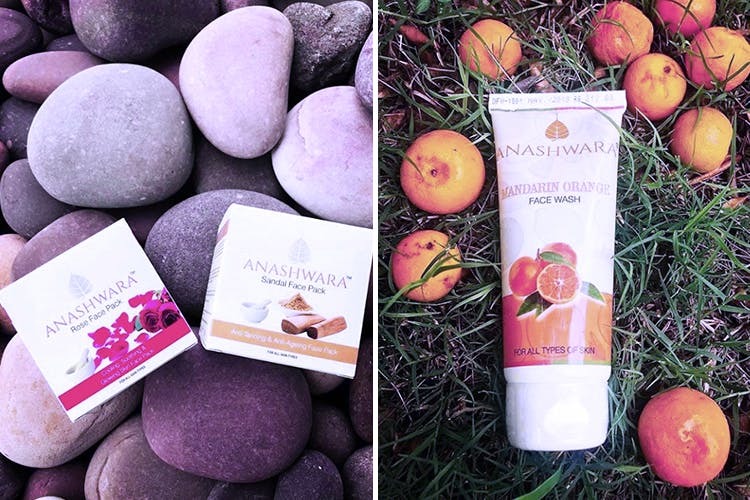 We love that it's a brand that is going back to our Indian roots and incorporating nani-approved ingredients like sandalwood, haldi, kadi patta, amla and multani mitti into all its products. In fact, if you look at the product composition label on all of Bio Resurge's skin and healthcare, you'll barely find any chemicals. Broadly, this Delhi-based brand does oils, face packs, scrubs, Ayurvedic healthcare, hair washes and hair packs. We're particularly fond of their Rose Nourishing Cream that smells super-natural and leaves your skin feeling soft and fresh. The soothing sandalwood face pack that removes dead skin and reduces acne is another winner for us. Bio Surge's Padamkesh Herbal Hair Wash, their orange face scrub and the Golden Glow Face Wash are some of the other products we'd recommend. Bio Resurge has skincare in the usual variants like strawberry, sandalwood and neem haldi. If you're someone who likes variety in fragrances and mixes, you might be slightly disappointed. While Bio Resurge delivers across India, they do take at least 5-6 days to ship those products to your house. So when ordering their products, be sure to take the delivery time into account, too. They also have a small section on their website dedicated to Ayurveda tips. Honestly, knowing what ingredients reduce skin pigmentation or cure acne doesn't hurt, no?